Hey Coach Tony Fiorino expert parent coach player relationship for baseball. We are blessed to have 'Hey Coach Tony' host Tony Fiorino from the ‘Hey Coach Tony’ ESPN radio and Internet show with us today. Tony is one of America’s experts and authorities in the area of youth sports parenting and coaching. We have the opportunity to ask Tony a few questions about his thoughts on youth baseball parenting and baseball coaching. Here is our interview with Tony Fiorino from the ‘Hey Coach Tony’ Show on ESPN. Dave Holt: "Coach Tony, it is great to have you with us today. Can you tell us about yourself, your ESPN radio show, your blog, books and anything else you would like to mention?" Tony Fiorino: I’m happy to be part of what you’re doing. Throughout my entire childhood, I was an active athlete but baseball was my thing. I was very fortunate to be part of the team that pioneered elite amateur baseball in the northeast, The Bayside Yankees and was a member of their very first National Championship Team in 1983. I played throughout college and was nationally-ranked in several offensive categories in 1989. To this day, I am on the coaching staff of The Bayside Yankees and we’ve been very fortunate to have many major leaguers including John Lester, Brian Wilson, Pedro Alvarez and others counted as our alumni. Throughout my childhood, I witnessed parental and coaching behavior that, even at a young age, I just knew wasn’t quite right. Rick Wolff, who is now highly regarded as the top sports parenting expert in the country, recruited me to play college baseball. Over the years, Rick and I became good friends and so when I first started having my mid-life crisis, I asked him to lunch. He told me how well I grasped the concepts of the parent/coach/player relationship and that I should start following in his footsteps. At that point, in 2001, I worked with Rick to develop a curriculum for parents and coaches to outline proper behavior and strategies for dealing with adversity and I began speaking at school and recreation departments. I also wrote a book during this period of my life.Kids in Sports: Tactical Guide for Parents and Coaches Between the book and the workshop series, my popularity began to grow and so I launched a radio program, originally called “Let Them Play”. The show aired on WFAS in NY, which was an “easy listening” station. However, during my time slot, the station took on a life of its own and the show became quite popular. So much so that I was approached by an ESPN affiliate in Western CT to bring the show there. I’ve been with ESPN now for over a year and it’s been a turning point for my career. The show is now carried on 2 ESPN affiliates, is simulcast live online on the leading live sports broadcast network on the internet at www.ihigh.com and we just signed a deal to have the show simulcast live on TV on 5 Cable TV Systems as well as DirecTV and ATTUverse throughout the state of CT and we’re in active discussions with several additional ESPN affiliates and TV outlets across the Northeast. In short, things are going very well and I’m extremely grateful to the loyal fans that enjoy my program. 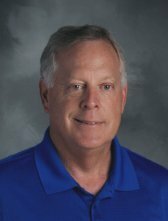 Dave Holt: "You spent several years as Director of the Center for Sports Parenting, a non-profit organization dedicated to educating parents, coaches and officials on the youth sports environment. Talk to us about your time there at the Center and what you were able to accomplish". Tony F: My role with the CSP was to focus on content development and to help them launch a series of workshops and seminars that could be replicated around the country and around the world. That was a good group of people and I learned a lot from them but the workshop series had to take a back seat to the mass-market appeal of the radio and TV opportunities that were presented to me. We can simply reach a lot more people through media and as long as we continue to educate as well as entertain, we should continue to grow. Dave Holt: "Speaking of sports parenting, what advice or what approach would you recommend that parents take dealing with their kids and playing sports? Tony F: Perspective is the one word that resonates throughout the sports parenting equation. Most problems arise based on lack of perspective and unrealistic expectations on the part of us as parents. The fact is, almost every single kid playing sports will go without a scholarship and DEFINITELY without a multi-million dollar contract. Even coaching legends like Joe Paterno, who said, “I have more lawyers and doctors come through this program than I do NFL players,” gets this concept. But for some reason, each of us as parents believes firmly that our kid is going to defy the odds. In general terms, the parents who get the most out of the youth sports experience are the ones who learn to simply watch and enjoy watching young kids achieve and understand that each kid will achieve at a different level. I could write another book on this topic alone but if I had to sum it up, I would say keeping perspective is the most important tool for a parent if he/she wants to enjoy the process and not become the next news story. 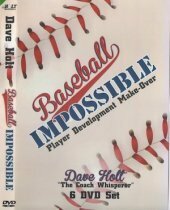 Dave Holt: "From the baseball coaches angle it seems playing time (or lack of) is one of the big issues that get some parents worked up. How would you advise youth baseball coaches in the best way to deal with baseball parents in relative harmony?" Tony F: Baseball coaches???? You mean baseball coaches and every coach of every sport that has ever existed. As well as the head of the debate team, math club, chess club, you name it. Playing time is by far the biggest issue creating conflict in all amateur sports. Until someone figures out a way for every kid to play every minute of every game, there will always be tension. In fact,even if you do that, there will be parents who complain that their kid deserves more than the other kids. In short, what do we know about playing time? Kids want a lot of it. Parents want even more than the kids in many cases. And coaches only have so much of it to dole out. The very nature of that scenario makes it impossible to handle. However, all a coach can really do is to make parents and players aware of their personal philosophies on playing time. Depending on the level, a coach may think that equal playing time is the goal while others may simply believe in “feed the eagles and starve the turkeys”. As a parent, you may agree or disagree and in the end, all a parent can do is decide what environment is best for his own kid so surprising a parent with playing time philosophies mid way through the season is a recipe for disaster. An even bigger failure is when a coach is inconsistent with his philosophy because the parents will always pick up on that AND make the coach aware that they’ve picked up on it. Dave Holt: "Winning is a big part of our society. We are all very competitive in everything we do. It seems though that the adults put way more importance to the outcomes of the ballgames then the kids do. What is your take on how we approach winning-at-all-costs approaches and making sure the kids have a good experience in youth sports?" Tony F: I don’t think the parents take a “win at all costs” mentality as much as they really believe deep down that the way their kid plays and whether or not their kid’s team wins, is a direct reflection on them as a person and a parent. While seems foolish, think about it. How else can you explain the levels of frustration we all see in the eyes of a parent after a loss, especially when that look of frustration leaves the kid’s eyes merely minutes after that very same loss? It all goes back to perspective. If you’re not sure whether or not you have perspective, promise yourself that after the next loss, you will just shut up and pay attention to your kid and his emotions. You’ll learn quickly that kids have great perspective and will rebound from a loss much more quickly than we do as parents. There’s a lot more to this one but I hope that summarizes my thoughts. Dave Holt: "Recently on your radio show you brought up the topic of the post game handshake. I spent almost 20 years in professional baseball and there were no handshakes after the games between players and coaches. 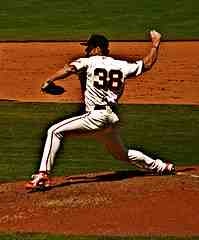 When I got to the college and high school baseball levels the post game shake was really awkward for me and still is. It seems very fake and sometimes inflammatory where a bad situation could easily ignite. What is your thinking on the post game greeting/handshake in amateur sports? Tony F: Again, I did an entire show on this because it’s a fascinating concept so I’d suggest you go back to the show and feel free to take any of my quotes from it but I’ll try to shortcut this. The post-game handshake has lost its meaning and it’s because we FORCE the kids to do it. When I played, I would go out of my way to find that players on the other team who gained my respect that day and I would kiss their butts because THAT’s what amateur sports is all about. There are plenty of meaningless gestures in amateur sports and the post-game handshake is clearly one of them. Dave Holt: "Personally I think the Little League World Series does more harm than good for baseball. Generally, Little League brings out the win-at-all-costs approach from the adults and local leagues. Arm abuse, lots of curveballs, the temptation to cheat, and the process and politics of choosing the best players, all do nothing to better the game. In addition, the TV monetizing of 11 & 12 children is really ridiculous.What is your thinking on the Little League system and All-Stars?" Tony F: Like all things in youth sports, The LLWS and the advent of its mass-market appeal was originally a great thing. How cool is it that a global audience could witness the very thing that symbolizes innocence and purity in America? The answer? It was very cool…WAS. What began as a global platform for sportsmanship and youthful innocence quickly became a global stage for exploitation and a great big mirror that should be held up in front of coaches and parents everywhere. It has become riddled with scandal and politics and dollar signs and if you ever heard me speak on this subject, you know that I am against it, at least in its current form. Dave Holt: "Hey Coach Tony, we are really fortunate to have the opportunity today to talk with you. You are one the best in the country on the topic of youth baseball coaching and youth sports. Can you leave us with a your best advice on how to make the youth baseball experience positive for players, coaches and parents." Tony F: My best advice is this. If you’re a true baseball guy, them make it a point to go to Cooperstown and visit the Hall of Fame. When you’re there, spend most of your time in the old school exhibits. Watch ALL the old movies they play. Bring your sons and daughters alike to the room dedicated to the All American Girls Baseball League. And be sure to take as much time as it takes to learn everything about Jackie Robinson. Spend most of that time doing what I did and fight back tears. Then go through all the old-time stores on the strip. Then finally, take a walk down the block to Doubleday Field and watch the endless stream of old men participating in the multiple fantasy camps they hold there. Watch rickety old idiots like me playing hurt and secretly praying for just one more day of our childhood when we took this amazing game so much for granted, blissfully ignorant to the inevitable fact that one day it would be gone, just like that, in a flash. Take your kids to a game on a sunny summer afternoon and buy a scorecard and eat a hotdog and try to remember why baseball became The Great American Pastime. If you think about the impact that baseball has had on us through times of war, prosperity and everywhere in between. The impact it had on equal rights concerning race and gender. Baseball is forever woven into the very fabric of our history and our culture as a nation and I personally count myself truly blessed to have had a part, regardless of how small, in such an amazing activity…How’s THAT for perspective? Hey Coach Tony. Thanks so much and up the great work!